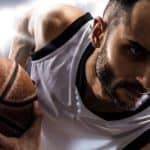 Basketballs come from a number of different companies, many of whom are quite popular brands with loads of advertising and common look and feel. Wilson, Nike, Spalding, and others have definitely made their mark when it comes to the basketball market. 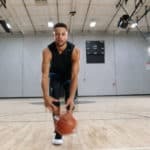 However, with a little look under the radar, there are other basketballs to be found that can also prove to be great additions to your home or gym, for both individual and team use. Today, we’ll be looking at one such example of one of those “under the radar” basketballs that are worth a second look. 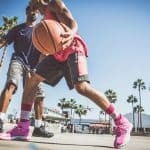 Anaconda Sports, a small sports company that has been around since 1978, created The Rock in 1982 as another option for ballers young and old, and this ball has gone on to gain a cult following with good reason. In taking a closer look at The Rock, we ordered one to try out and test. At first glance, the ball has a very urban look to it with the visuals of the ball; an athletic all-caps font and city skyline accentuated in gold make this ball stand out visually from its competitors. More so than other indoor balls, The Rock has a decidedly stickier feel than others. This can be good or bad, depending on your preference in basketballs, but we found that the tackiness of The Rock allows for better grip, ease in palming the ball, and more control. The ball had good bounce, comparable to others, and a soft feel as well. One other unique aspect of Anaconda’s The Rock is its very deep set channels. The channels are set much deeper than other balls, and also are pebbled in their design. This is quite different from other indoor basketballs by the larger chain brands, but this special feature enhances your grip, adds greater texture, and gives it a more consistent feel overall. Also exclusive to The Rock is the Core 2 Cover technology, which gives it a durable and strong feel. 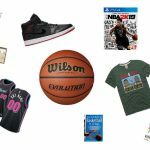 The price of this basketball is on the higher end of things, and coming in at 54.99, it is more expensive than all of the basketballs we have reviewed. However, The Rock as a smaller, stronger following, and if its unique features are things that you prefer, then it is definitely worth the extra price. 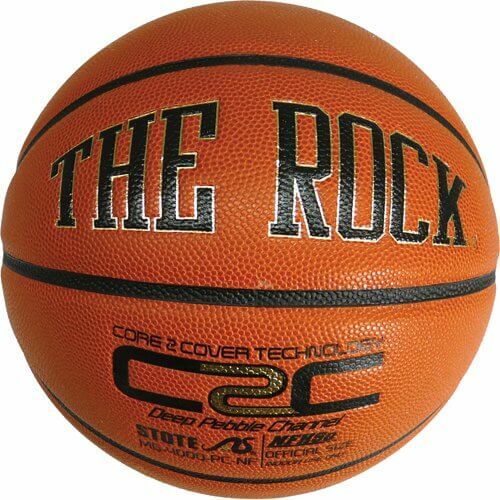 Keep in mind as well that The Rock is the official game ball of the McDonald’s All-American high school games for both boys and girls. For a unique ball that will get you noticed as well as give you great hold and control on the ball, The Rock from Anaconda Sports is worth a try. While it took a little getting used to the deeper pebbled channels, further usage has proven this ball is a worthy contender in a market of more well-known brands. 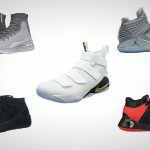 For those looking for a more typical basketball, you may want to consider some of the other brands, but if you’re looking for something a little more outside of the box (or the court J) give The Rock a chance.